You ain’t seen nothin’ until you see a CrossFit competition. 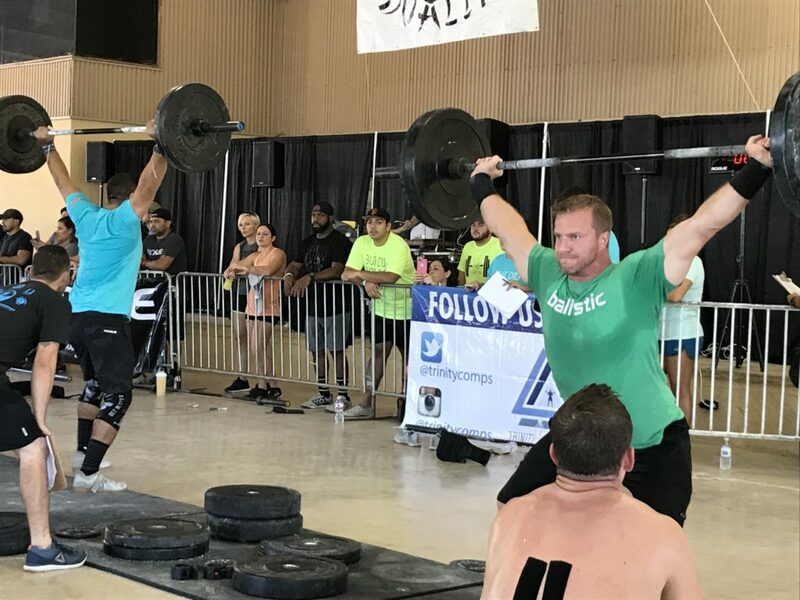 That’s the sentiment echoed by most of us here at Advanced Pain Management after participating in our first CrossFit Competition, Trinity Competition‘s Duality 2017, held a few weeks ago in San Antonio. Let me clarify, however. When I say “participating” I mean we cheered. We watched wide-eyed. We assisted. And, we talked about pain and how it often comes into play with CrossFit. We, at Advanced Pain Management did not do any heavy lifting or pulling at Duality. (Unless you consider the tables we dragged from Dr. Dinger’s truck to the competition site.) That’s not to say, however, that a select few of us here at APM may not compete in the future. We might. A certain bearded physician was particularly pumped over the idea of forming his own CrossFit Duo. More on on that, however, in a minute. Advanced Pain Management was a sponsor and Dr. Dinger served as the official Physician at Duality 2017. The pairing of a pain specialist and CrossFit makes a lot sense when you think about it. 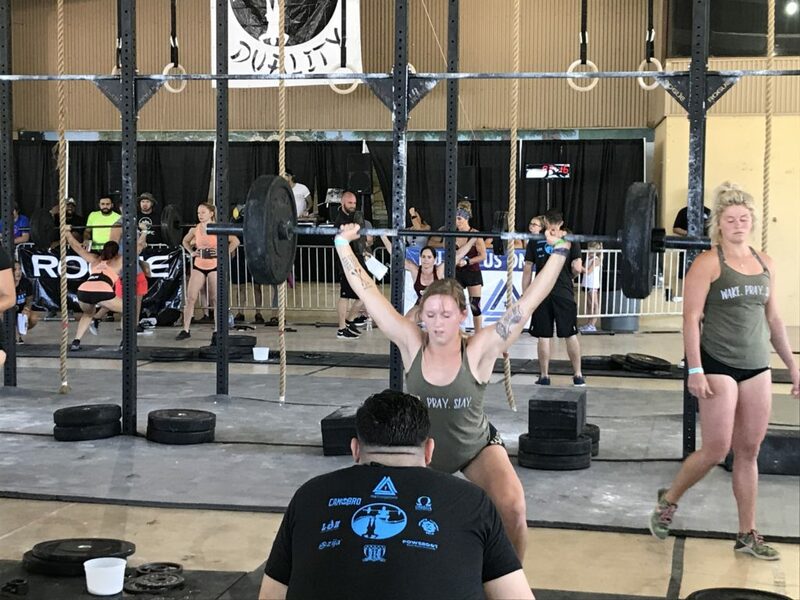 CrossFit athletes are known for putting in some of the most intense workouts known to man and woman (because let me tell you, these CrossFit women are phenoms.) With such intensity, as with any highly competitive fitness routine, injuries are likely to happen. CrossFit can put massive amounts of stress and fatigue on a person’s body. We know because we see it often in pain management. After massage, yoga, perhaps a little Airrosti, and more traditional treatments don’t nip the pain in the bud, serious athletes often come and see us. They show us their torn meniscus. They show us their tennis elbow. They point out their shooting knee pain. And when they do, the last thing they want to hear from a physician is the word surgery. To a CrossFit athlete, surgery is dirty word and understandably so. Surgery usually means long down times which means less time at the gym or training for competition. CrossFitters live for training. For these athletes, however, there is good great news! There now exists a pain and injury solution – an alternative to surgery. It’s PRP, or what’s more officially called Platelet Rich Plasma injections. Basically, with PRP, you give your own blood to yourself to heal yourself. The injections cover troubled cells at the area of an injury of site of pain which stimulates healing. PRP is an alternative to current conservative interventional procedures. It is safe. It’s non-invasive. It is easy to see why the regenerative medicine is fast becoming the go-to option for CrossFit athletes looking to treat pain and/or injury with little to no down time. We had the incredible opportunity to talk a lot about PRP with CrossFit athletes throughout Duality. 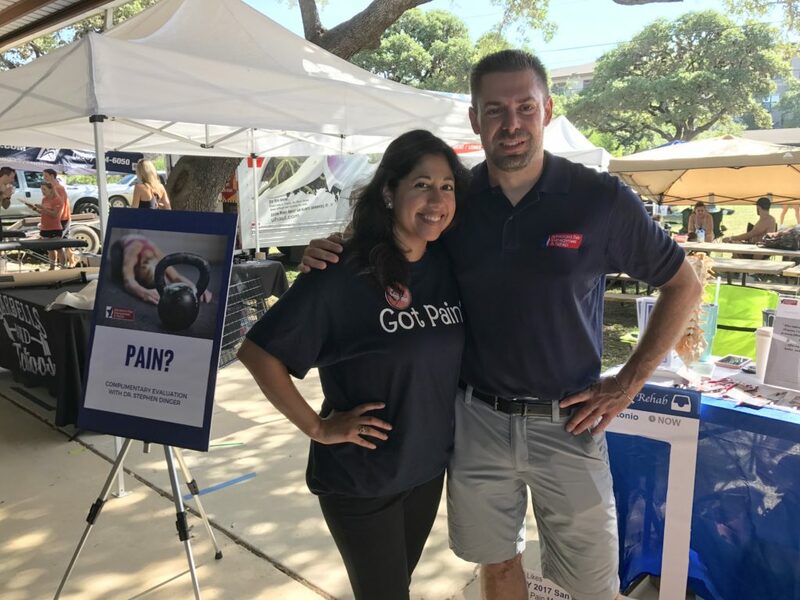 Dr. Dinger gave complimentary consultations and listened to athlete after athlete, men and women, young and older, describe in detail their sources of pain. 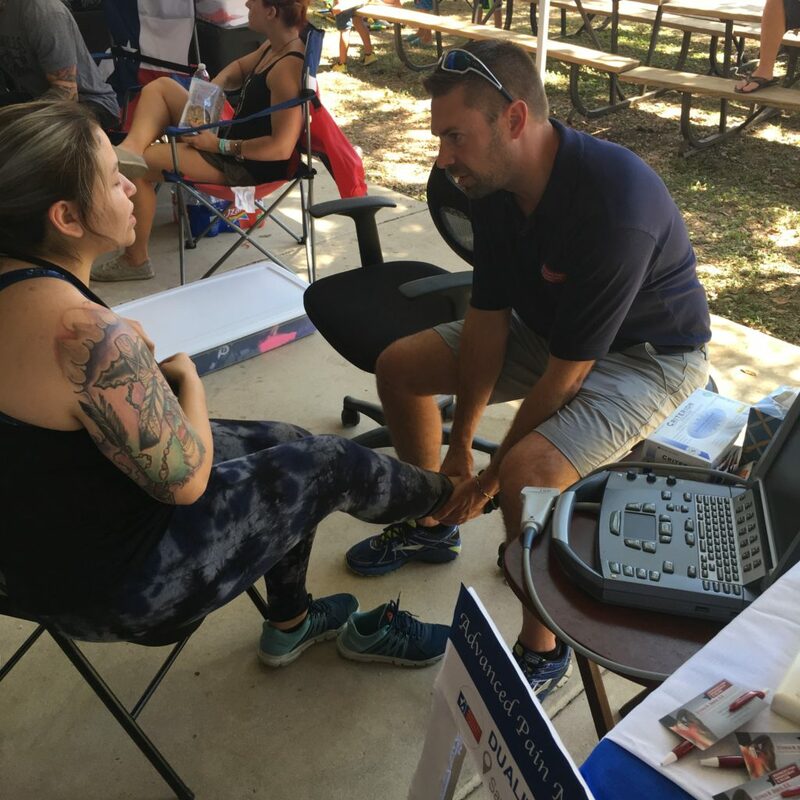 Advanced Pain Management even raffled off a free PRP treatment to one lucky CrossFit participant. She has offered to allow us to go behind-the-scenes with her during her injection to share her story of pain, PRP, and CrossFit, which we hope to share here on the blog with you in the near future. In addition to being completely blown away at the sheer strength, dedication, discipline, and fitness level on display at Duality 2017 San Antonio, we appreciated the opportunity to learn more about this unique sport that seems to hook more people, even kids, each year. 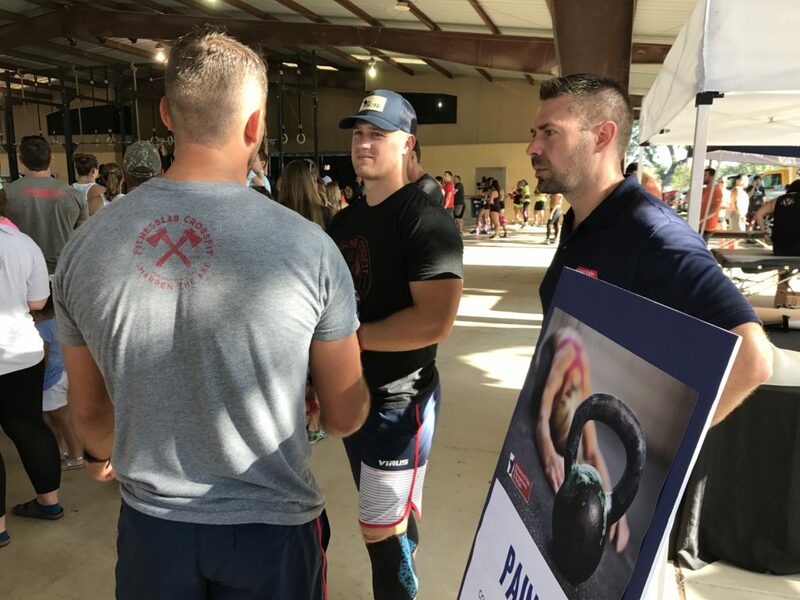 Speaking of getting hooked on CrossFit – Dr. Stephen Dinger, already a triathlete, said he wants to look into trying CrossFit and get Dr. Diaz on board too! For more information on PRP injections for pain and injury, click here. If you have any questions, big or small for Dr. Dinger or Dr. Diaz, please don’t hesitate to call our team here at at Advanced Pain Management to schedule your free consultation. Dr. Dinger has offices in Stone Oak and Schertz, Texas. 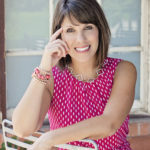 Erin Kirwan is the founder of Savvy Media Marketing PR. She assists APM with developing and sharing impactful information and patient stories.